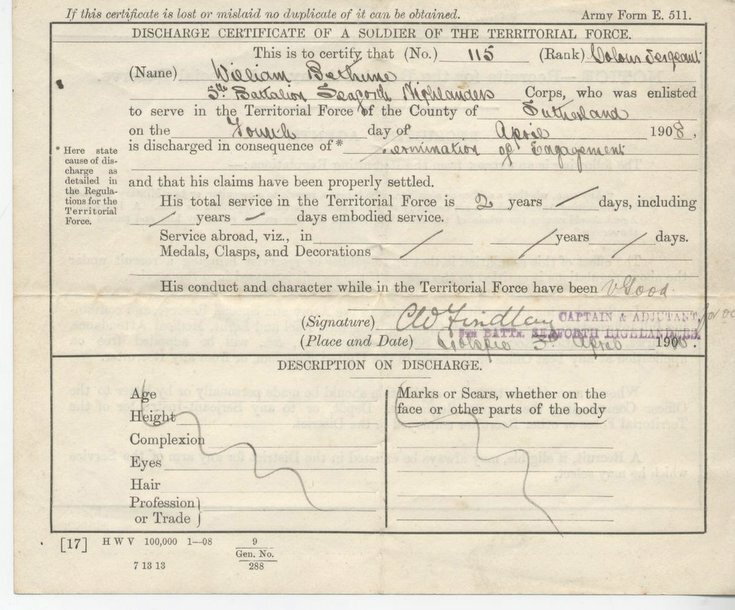 Discharge Certificate of Soldier of the Territorial Force awarded to 115 Colour Sgt William Bethune of the 5th Bn. Seaforth Highlanders, enlisted 04 April 1908 and discharged two years later. Conduct and character while in the Force assessed 'V Good'. On the back is printed information regarding recruits and recruiting agents for the Army.